Brides and all the wedding party can be catered for. 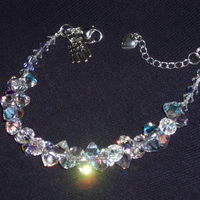 I design and make necklaces, earrings, bracelets, pendants, tiaras, headbands, hair pins. New to this section is the 'Something Blue' charm. A lovely gift for the Bride. 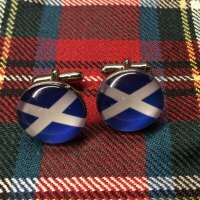 I've just added a line 'For the Groom' which includes cufflinks, tie tacks, tie tacks with chains and stock pins, all using fabulous Swarovski flatback crystals. Scrabble and lego Rings are proving very popular as Wedding Guest favours. 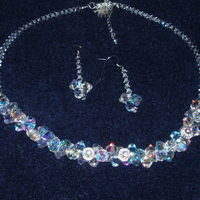 I love making prom jewellery as well, and can design and make a necklace set to compliment any dress. Please contact me for besopke designs. 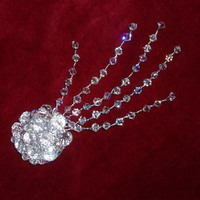 Jude's Jewels offers a Bespoke design service for Wedding, Prom and Special Occasion jewellery. Customers can visit me at home or I can go to their home to see the outfits/dresses and to discuss their personal requirements. 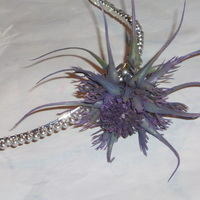 I can create jewellery for the whole wedding party including necklaces, earrings, bracelets, pendants, hair pins and headbands and, mother of the bride pieces as well. 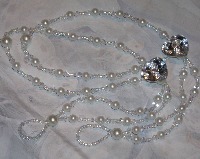 Swarovski Crystals, Freshwater Pearls and Gemstones can all be incorporated into the designs. 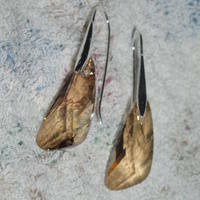 I usually work with Sterling Silver findings, but can use 9ct Gold or Gold Plate if required. 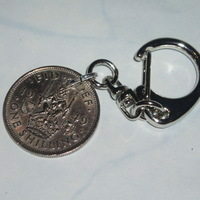 Prom jewellery is a speciallity of mine. I love to make special pieces to match the outfits for the big event. The sapphire blue Swarovski crystal sterling silver choker and earrings shown in the picture above can be made to order in a variety of other colours. 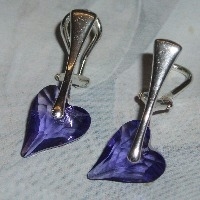 The set costs approximately £110, depending on the size and shape of the crystal drops. The Swarovski cluster set below can be made to order in a variety of shades including opal/clear/silver as shown, as well as AB, aqua, pink, green, blue and purple. 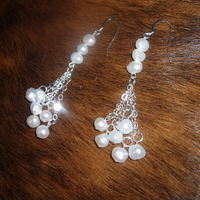 The price for this set is £115, including the earrings. 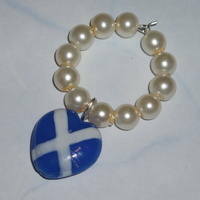 Bracelet can be ordered separately. 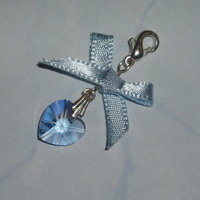 Where stated, the Swarovski crystals used in my products are manufactured by D. Swarovski & Co. These products are made by Me not by Swarovski. Swarovski® is registered trademark of Swarovski AG and there is no relationship between any Swarovski Company and myself.